In the last couple weeks temperatures have really heated up here and it has me breaking out my floral pieces even more often than I was at the beginning of Spring. Above are a few of the floral pieces that are currently catching my eye including a pretty swimsuit for the beach, a quilted top for the office, fun floral pants, and an easy to wear maxi dress. 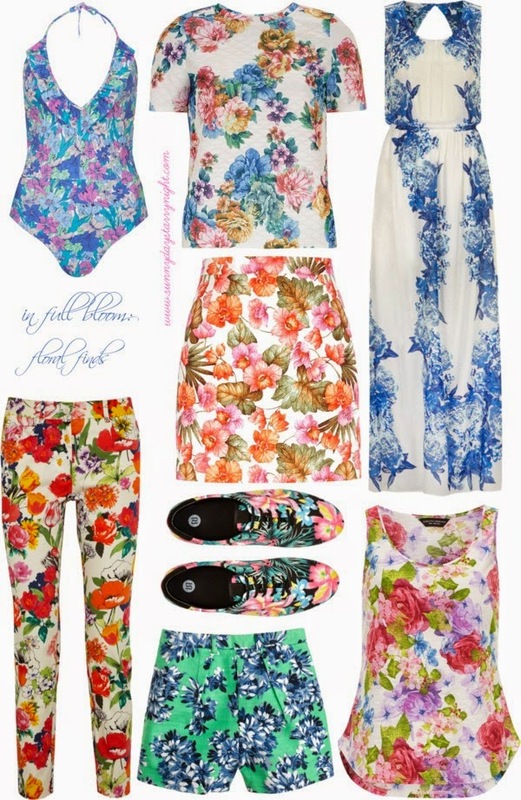 More floral finds that are all under $60 can be found here. Love florals so much!! All of these picks look perfect! Totally loving this and matching floral suits/sets, too! I've bought a couple of floral items this week since the weather improved. The quilted top here is so pretty and versatile too as it could be dressed up or down. Love the skirt. Are weather has heated up to this week.